The KL2424 digital output terminal connects the binary 24 V control signals electrically isolated with the actuators. The Bus Terminal contains four channels that indicate their signal state by means of LEDs. 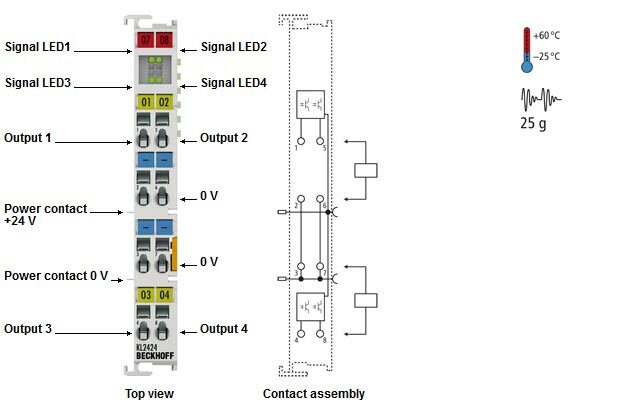 The 4-channel Bus Terminal enables the direct connection of four 2-wire sensors. Four ground connection points are provided.